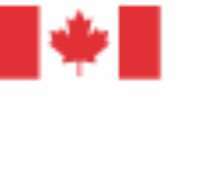 “Canada welcomes the decisions by prime ministers Singh of India and Ramgoolam of Mauritius not to attend CHOGM. The absence of the prime ministers, leaders of two of Sri Lanka's Indian Ocean neighbours, sends an important message. “Canada has taken a principled stance by announcing that Prime Minister Harper will not attend CHOGM. Canada has expressed its deep concern over the lack of meaningful reconciliation and accountability in Sri Lanka following a brutal and bloody civil war. Freedom, human rights and the rule of law continue to be ignored in Sri Lanka, which should cause concern in all Commonwealth nations. “We have long raised these concerns with Commonwealth partners and warned of the risk to the Commonwealth's principles in allowing Sri Lanka the honour of hosting this summit. We believe there should be no room for moral ambiguity. We must always stand up for those who cannot stand up for themselves.